Amazon has announced that another comic book adaptation from Seth Rogen and Evan Goldberg has found a home as The Boys has received a series order from the streaming service. 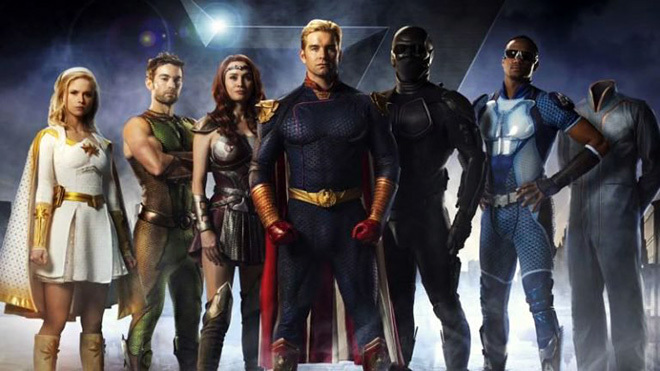 The first season of The Boys, based on the comic by Garth Ennis and Darick Robertson, will run for eight episodes and premiere in 2019. The series will be co-produced by Sony Pictures Television Studios and created and written by showrunner Eric Kripke (Supernatural), and directed by Evan Goldberg and Seth Rogen. The series will be executive produced by Kripke, Goldberg, Rogen, Original Film’s Neal H. Moritz (Prison Break), Ori Marmur (Preacher) and Pavun Shetty (New Girl), as well as Point Grey Pictures’ James Weaver (Preacher). Ennis and Robertson are also slated to co-executive produce. The Boys featured direct parodies of countless superheroes, including its own twisted versions of The Justice League, The Avengers, Teen Titans, The Fantastic Four, X-Men, and The New Mutants; in addition to characters directly riffing on the likes of Superman, Wonder Woman, The Flash, Batman, Iron Man, Thor, and countless others. The series marks the second adaptation of a Garth Ennis comic series by Rogen and Goldberg, who serve as executive producers on AMC’s Preacher. Deadline brings word of the first cast member for Amazon’s upcoming adaptation of the comic book series The Boys with the casting of Erin Moriarty as Annie January, aka the superhero Starlight. In the series, Starlight is a hopeful and optimistic young hero that gets called up to the “big leagues” and joins The Seven (an R-rated parody of DC Comics’ Justice League team) whom she idolizes, until she finds out that they’re all deranged and have only hired her to humiliate her for their own amusement. Her powers include flight, super hearing, and the ability to unleash a blinding light. Moriarty is no stranger to comic book adaptations having previously appeared in Marvel’s Jessica Jones. Her other credits include Kings of Summer, True Detective, and Red Widow. Antony Starr (American Gothic), Dominique McElligott (The Last Tycoon), Chace Crawford (Gossip Girl), Jessie T. Usher (Survivor’s Remorse) and Nathan Mitchell (iZombie) have joined Erin Moriarty as leads in Amazon’s straight-to-series drama The Boys, Deadline has learned. Starr will play Homelander, leader of the main superhero team, The Seven. McElligott plays Queen Maeve, member of The Seven. Usher will play another The Seven member, A-Train, a superhero faster than a speeding train. Crawford will play The Seven member The Deep, an aquatic hero. Mitchell plays Black Noir, a masked superhero with fighting and Set martial arts skills. Laz Alonso (NBC’s The Mysteries of Laura) has been cast in Amazon’s straight-to-series drama The Boys, from Supernatural creator and Timeless co-creator Eric Kripke, Preacher‘s Evan Goldberg and Seth Rogen and Sony Pictures TV. Alonso will play Mother’s Milk. Second in command of the Boys, he’s is a great detective, highly intelligent and observant and an intuitive investigator. Jack Quaid (The Hunger Games) is set as a lead in Amazon’s straight-to-series drama The Boys. The Star Trek and Lord of the Rings actor has landed the starring role in Amazon Studios' straight-to-series superhero drama The Boys. 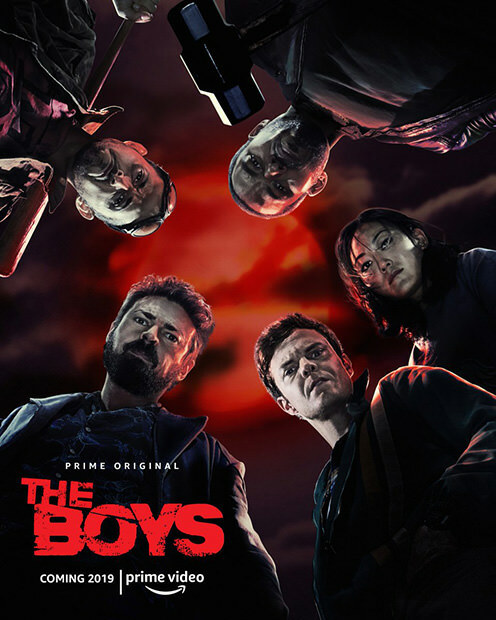 The Boys takes places in a world where superheroes embrace the darker side of their massive celebrity and fame, and centers on a group of vigilantes known informally as "the boys" who set out to take down corrupt superheroes with no more than blue-collar grit and a willingness to fight dirty. Urban will play Billy Butcher, who is described as mysterious and brutal with a personal but secret agenda. He approaches Hughie (Jack Quaid), claiming to be a shadowy government operative. Butcher capitalizes on Hughie's rage over his girlfriend Robin’s (uncast) accidental death at the hands of Superhero A-Train (Jessie T. Usher) and enlists Hughie as part of his plan to bring down the superhero system. Former CSI: Crime Scene Investigation star Elisabeth Shue is set as a series regular in Amazon’s straight-to-series drama The Boys, from Supernatural creator and Timeless co-creator Eric Kripke, Preacher‘s Evan Goldberg and Seth Rogen and Sony Pictures TV. Shue will play Madelyn Stillwell. Corporate and formidable Madelyn is the Vice President of Hero Management for Vought, in charge of the public persona as well as the assignments of the Superheroes. Madelyn is a tough negotiator who rides roughshod over public relations dilemmas, such as when Superhero A-Train accidentally kills an innocent bystander and damage control needs to be done at any price, or when a city Mayor requests a Superhero for his own beleaguered town. Director Dan Trachtenberg has taken to Instagram to reveal that production on Amazon’s The Boys has started. The 10 Cloverfield Lane director will be behind the camera for the first episode in the series. NCIS alum Jennifer Esposito has been cast in a key role on Amazon’s straight-to-series superhero drama The Boys. Esposito will appear in five episodes this season as CIA Agent Susan Raynor. A member of Comic Con royalty joined Amazon’s The Boys today onstage in New York as Simon Pegg made a surprise visit to announce he is joining the Amazon series. Walking out with a “hello everybody,” the Shaun of the Dead, Star Trek and Mission: Impossible alum said he will play the father of Hughie, the character he inspired in the very dark and grit-filled Garth Ennis and Darick Robertson comics on which the TV series is based. NYCC Teaser - "Vought is Here For You"